The chair in this bottle does not have a seat. 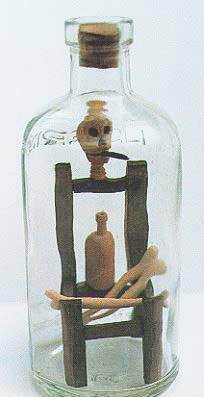 Across where the seat would be are three well-carved bones. 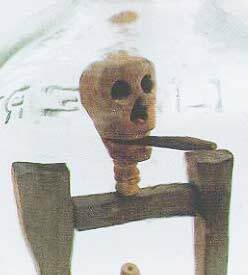 In the back of the chair is a wooden bottle, and on the top of the back rail is a skull smoking a cigar (closeup below).